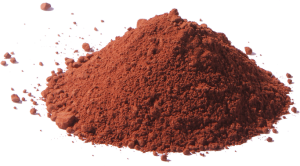 There are many pharmaceutical products on the market that use clays in their formulation as excipi- ents. In Brazil, there are examples of patents protecting the manufacture of ophthalmic drugs and dermal adhesives in which the clays are applied as their main active ingredient carrier. It is important to remember that there are some important requirements for clay to be used in phar- maceutical and cosmetic preparations; in particular the particle size, the degree of mineral purity, the amount of adsorbed water, along with existing chemical and microbiological contamination. Among the phyllosilicates, only certain types of clay such as Brazilian Kimberlite may be used in cosmetic applications. Brazilian Kimberlite clay is a natural resource that has adjustable physicochemical and radionic properties, allowing its use in the manufacture of various types of products that require its specific material characteristics. It allows the chemical modification of the surface of the individual clay lamellae, achieved in cation exchange procedures, resulting in hydrophilic or hydrophobic materials which have controlled structural characteristics.